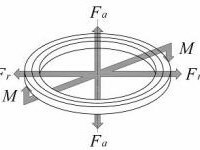 Slewing Bearing | Item | Slewing Bearing｜SENSHU BEARING SERVICE Corp.
Slewing bearings are not standardized, so we generally sell customized model to match the uses of customer by make-to-order. And to meet the growing request for short delivery recently, we have begun to sell the slewing bearing, J-series, which is general-purpose, short lead time, semi-custom. to meet a lot of requests of short delivery recently. We will select the best slewing bearing, if you tell us your requirements. 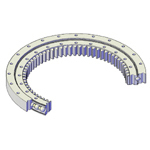 We will design and manufacture the slewing bearing according to special use or request. We will manufacture the substitute slewing bearing which you use now. We will make to order just one for the model. And we will provide it in the shortest delivery time. We can repair or overhaul your slewing bearing made by another company. I.D.φ60～O.D.φ3000mm ※Please contact us if it has O.D.φ3000mm over. 【Make to order】 For 75-120 days after an order　*Please confirm before your order. 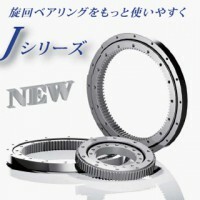 J-series is our standard model, the general-purpose, the semi-custom-made and short delivery.